cute sandara park 2ne1. . HD Wallpaper and background images in the DARA 2NE1 club tagged: dara 2ne1 sandara park yg etude shinee big bang. 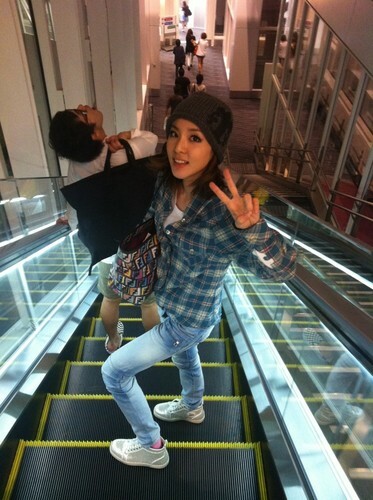 This DARA 2NE1 photo contains bannister, banister, balustrade, balusters, and handrail. There might also be sign, poster, text, chalkboard, carriageway, street, city scene, and urban setting.